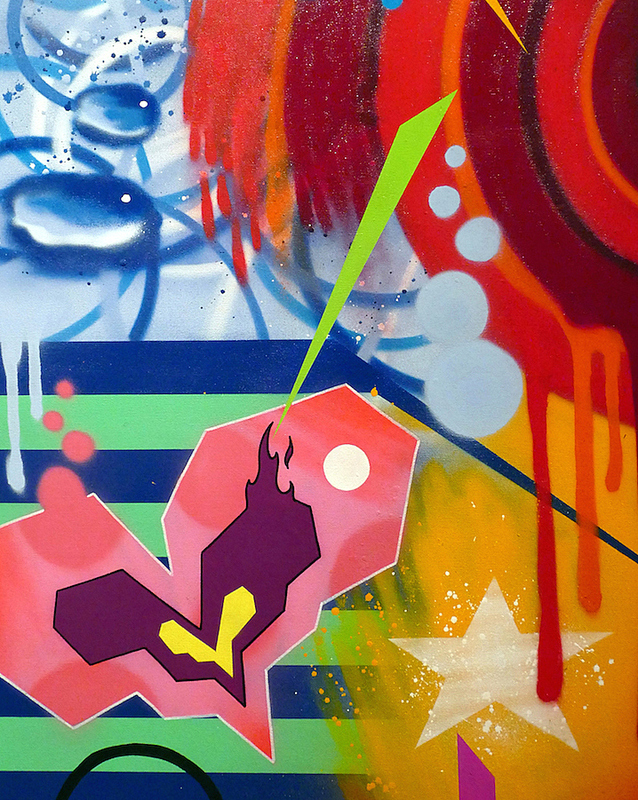 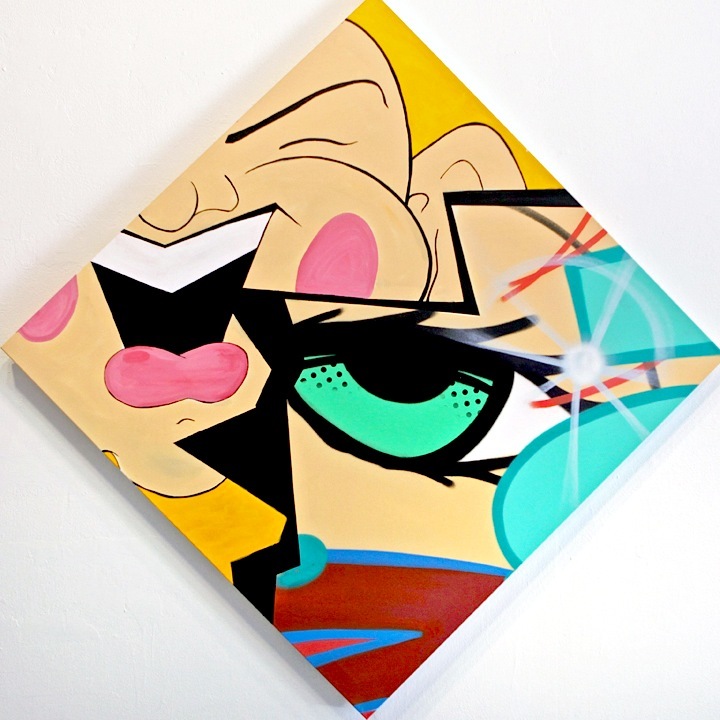 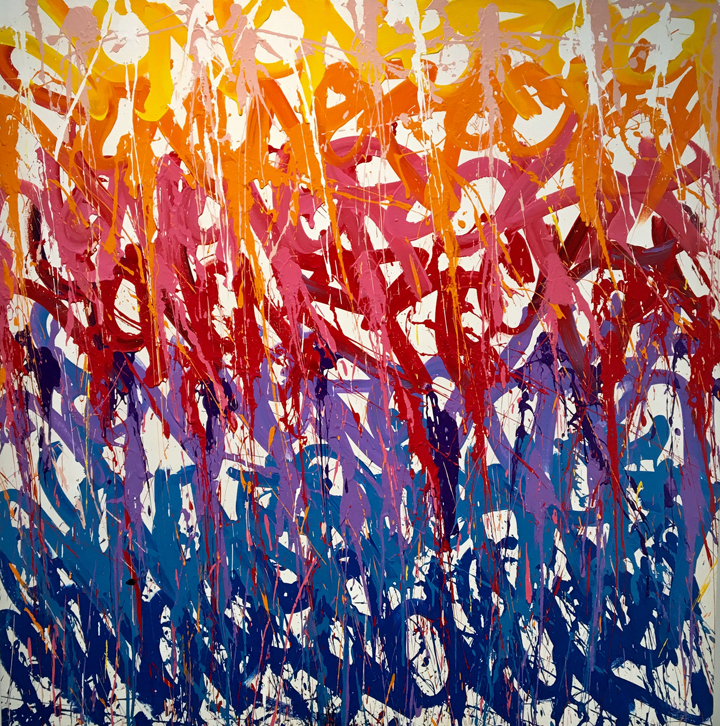 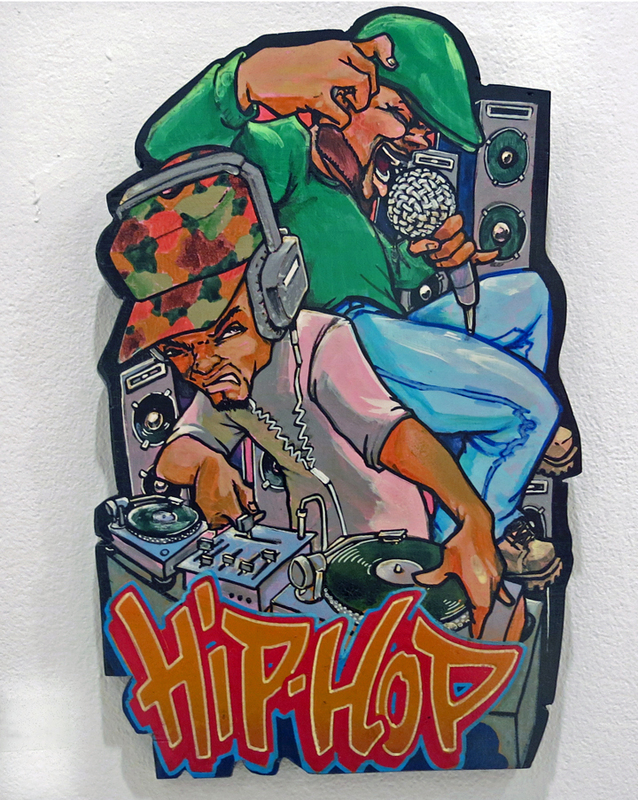 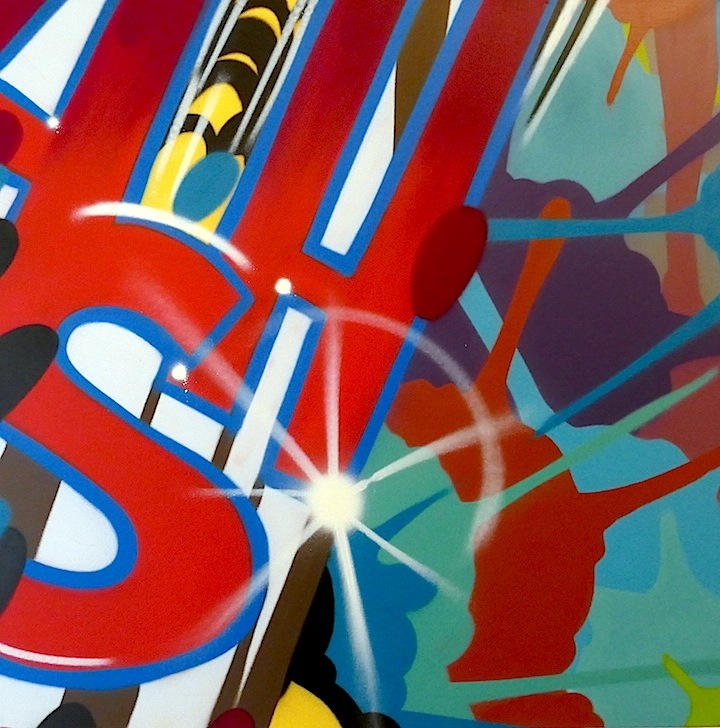 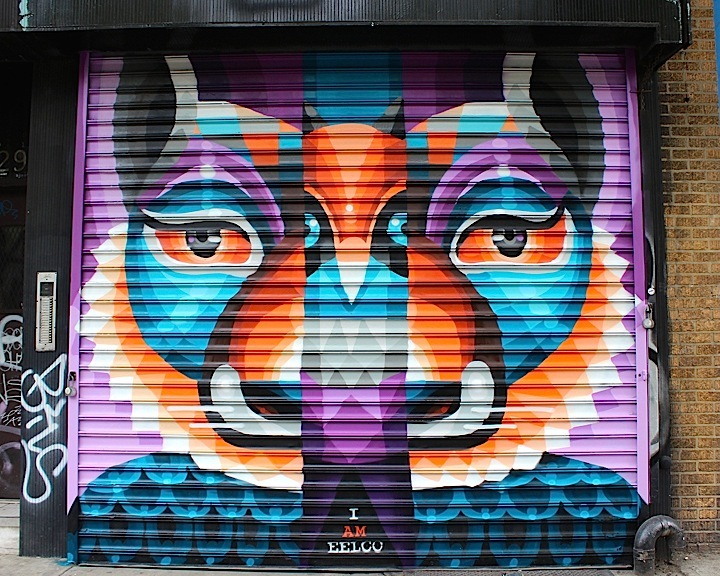 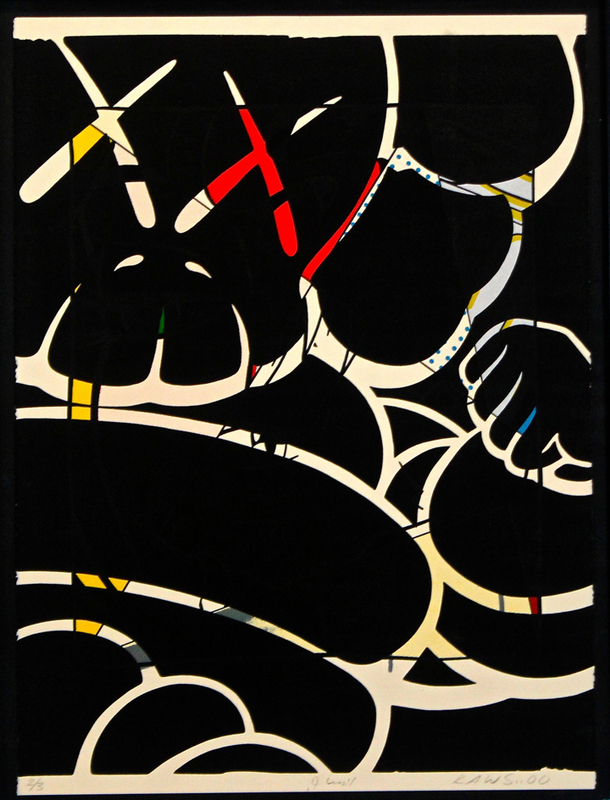 The first New York edition of the Urban Art Fair continues through 3pm tomorrow afternoon at Spring Studios in Tribeca. 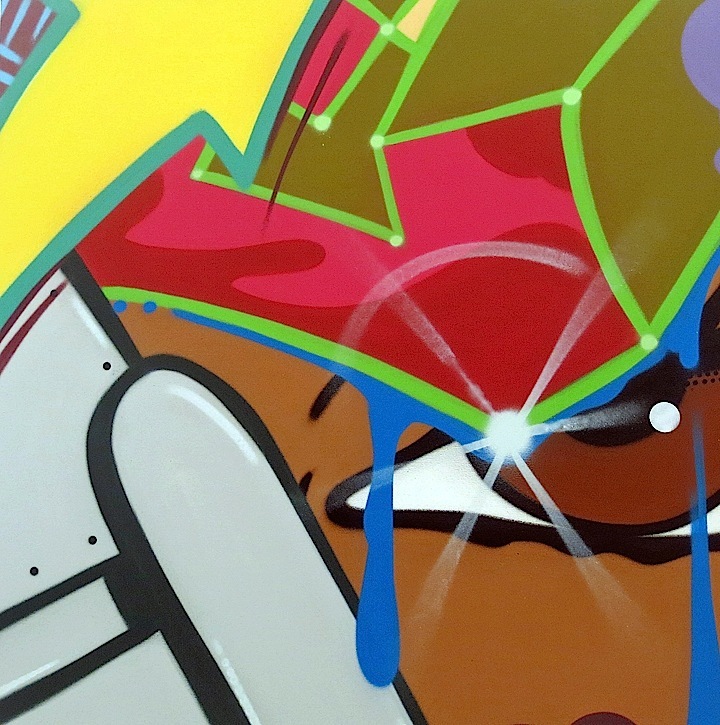 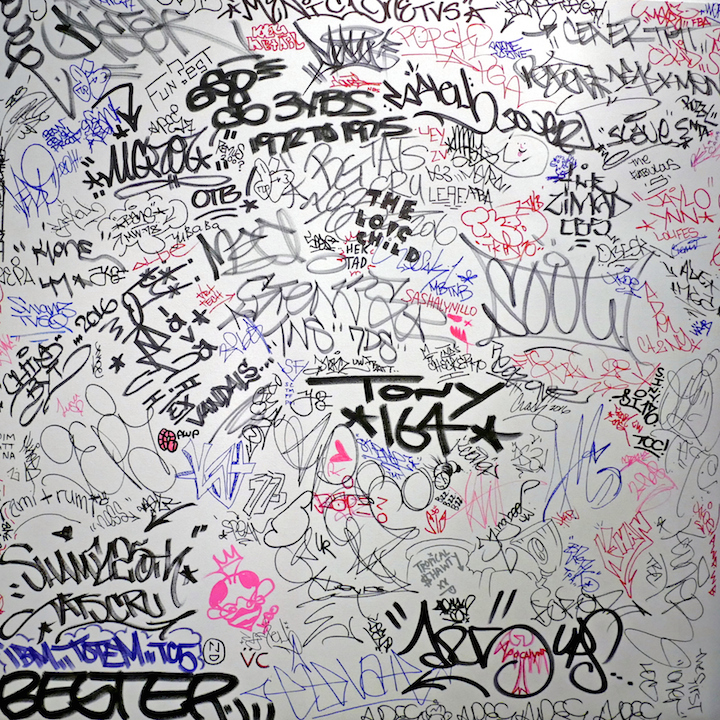 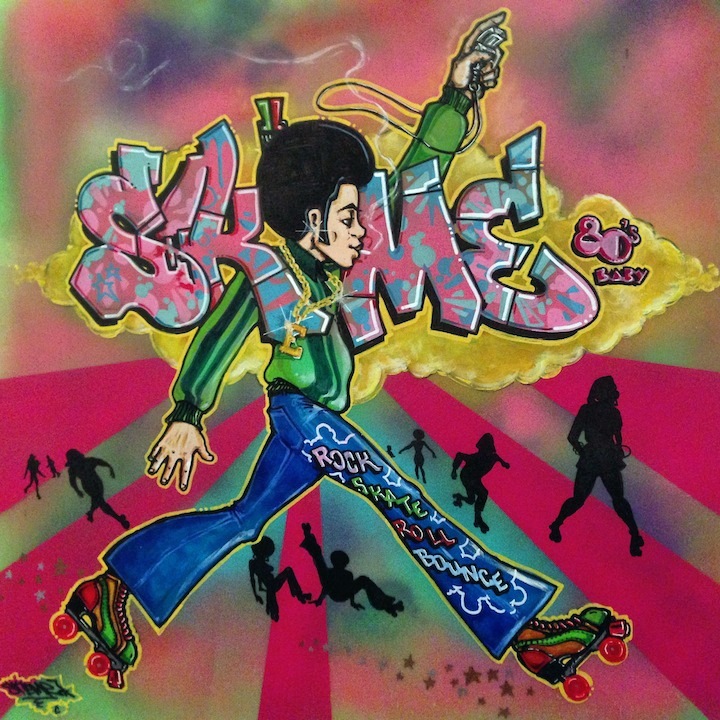 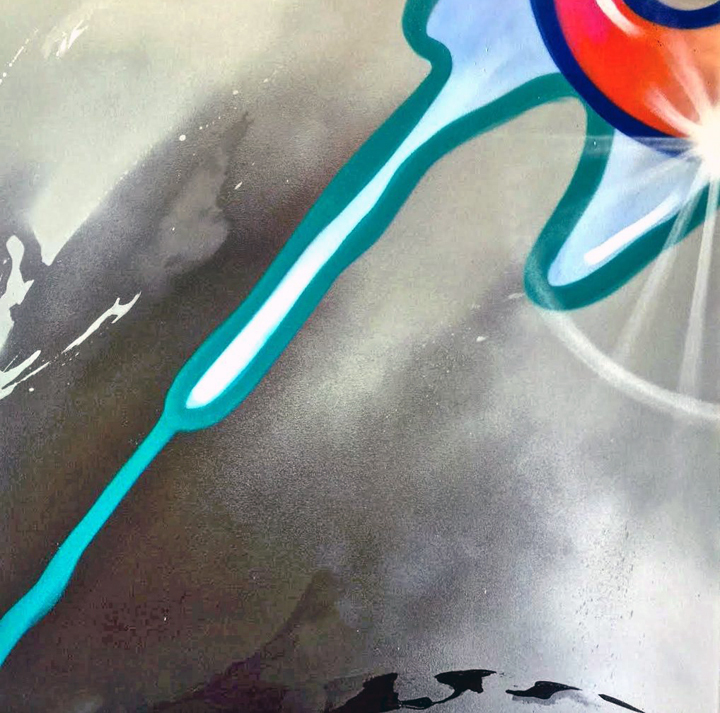 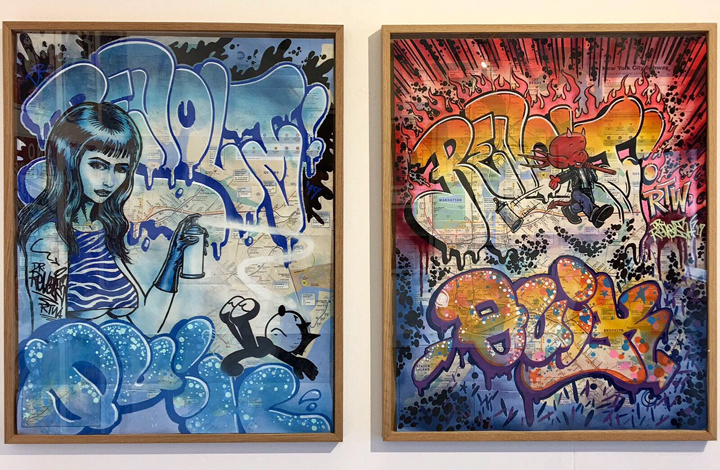 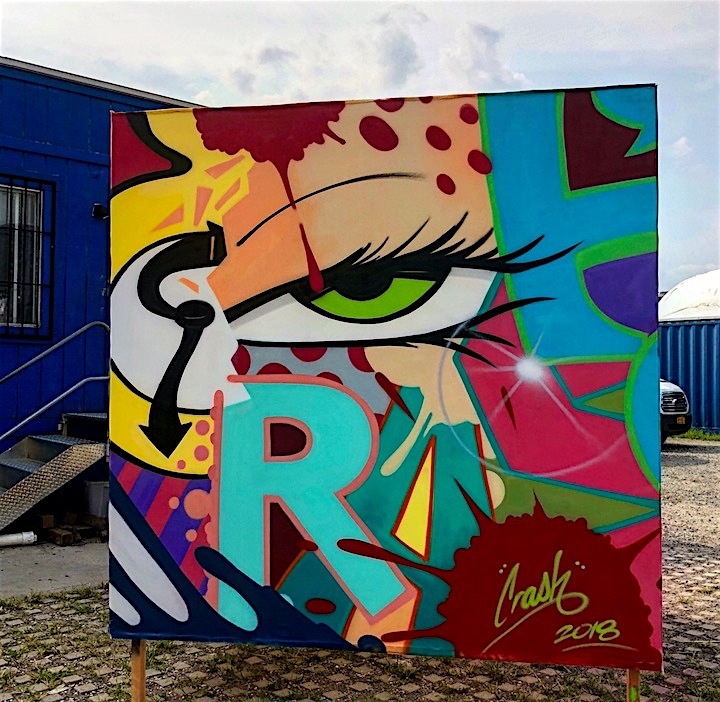 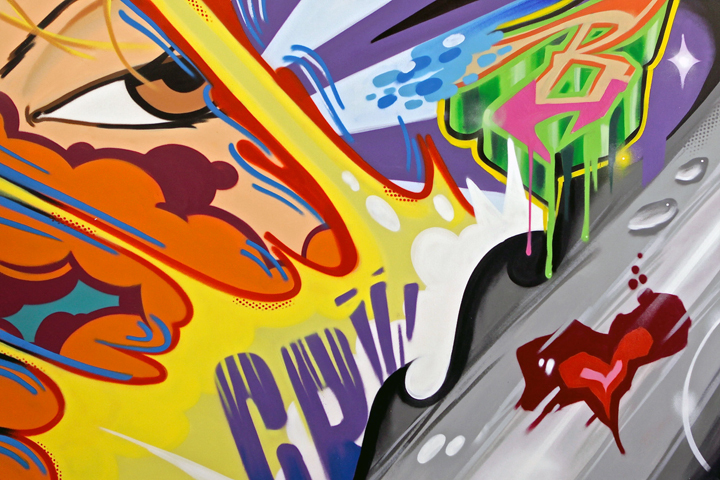 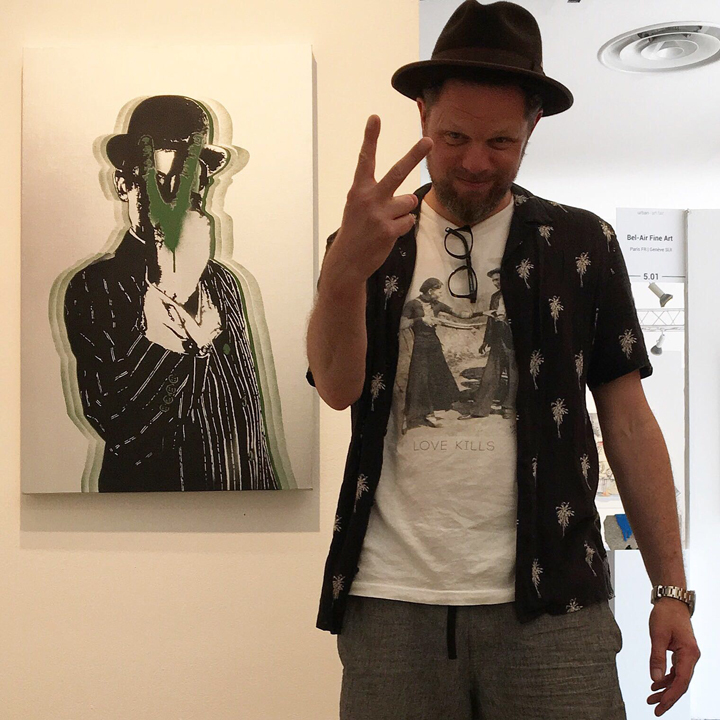 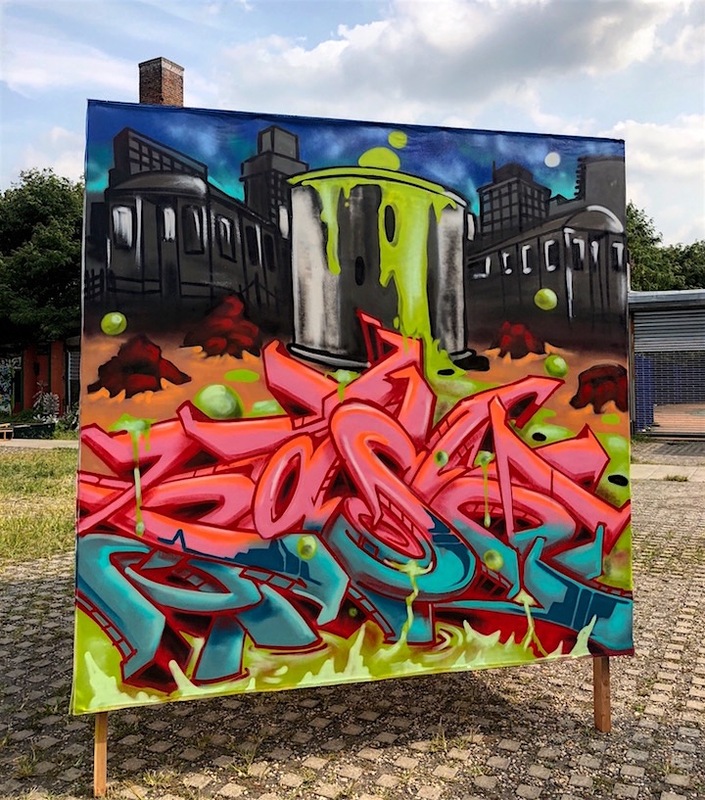 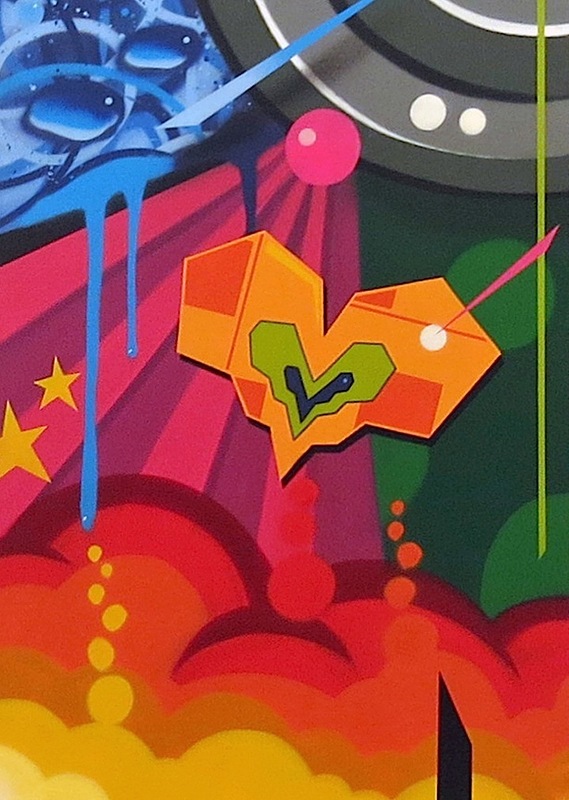 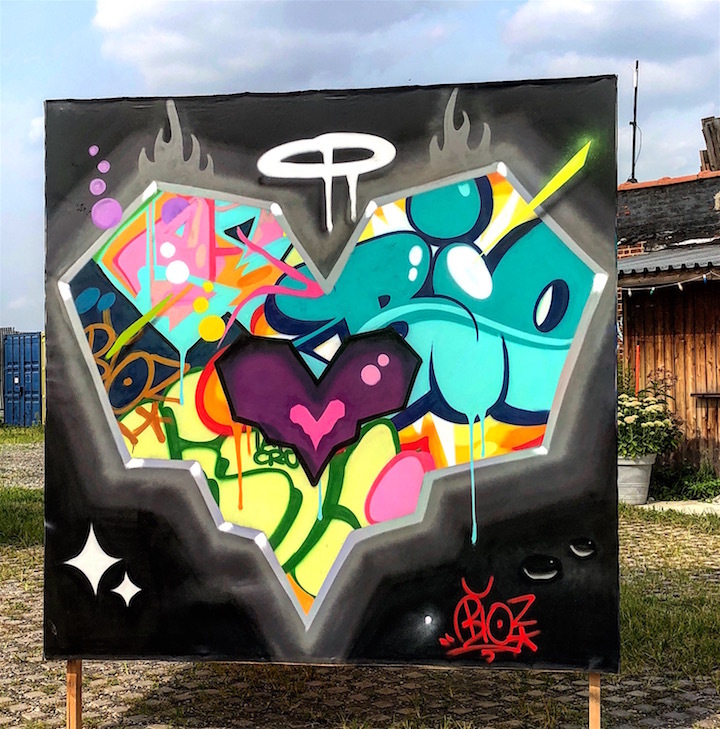 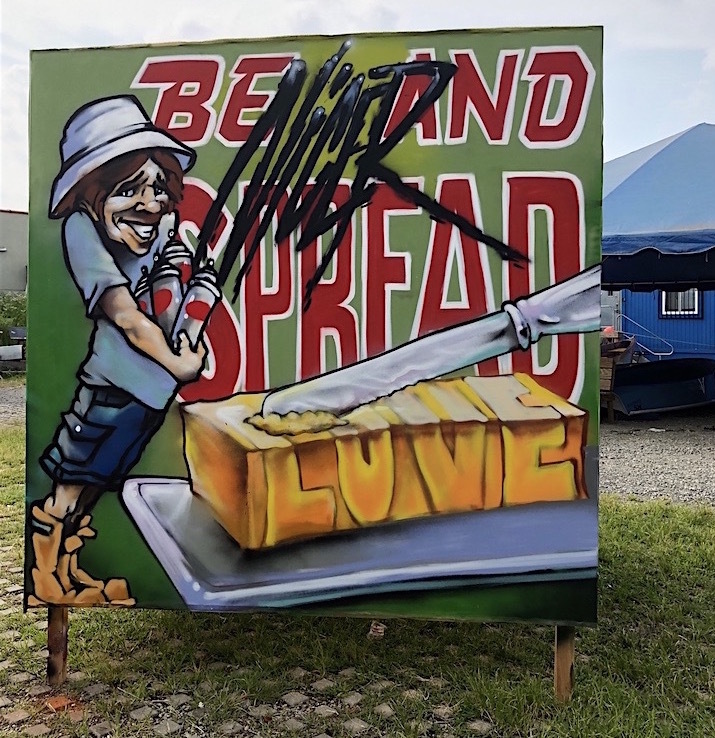 The artworks pictured above are collaborative works by NYC graffiti pioneers Revolt and Lin Felton aka Quik at the Green Flowers Art Gallery booth. 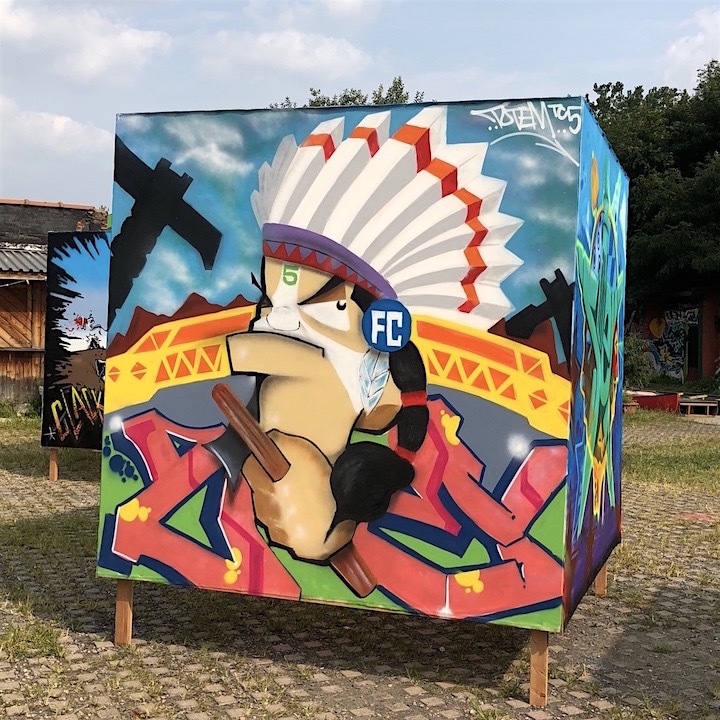 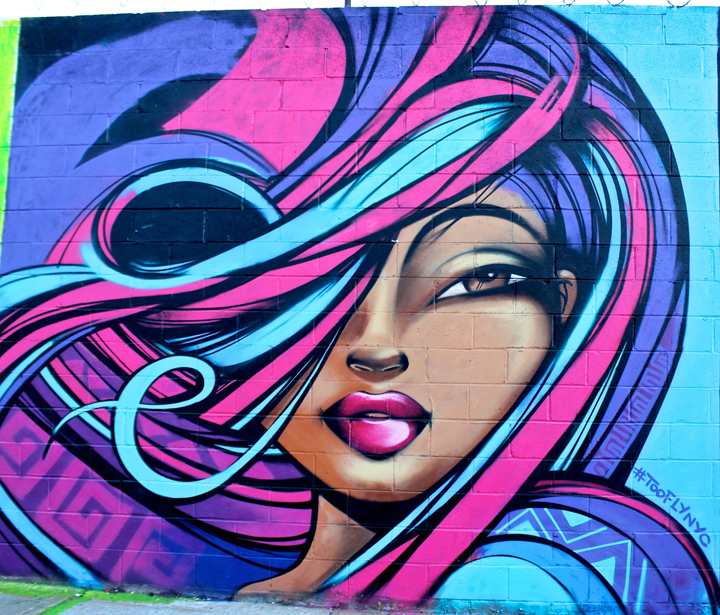 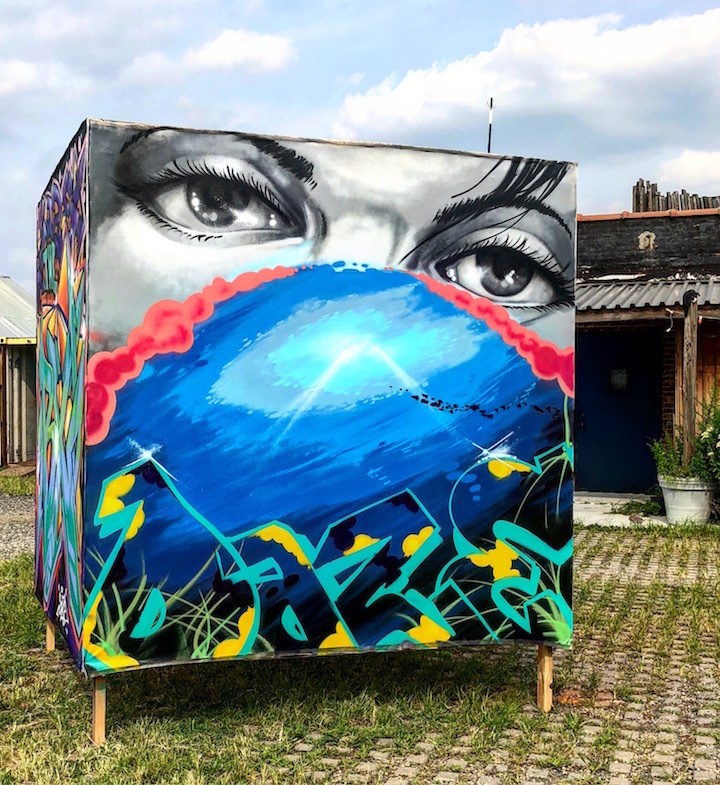 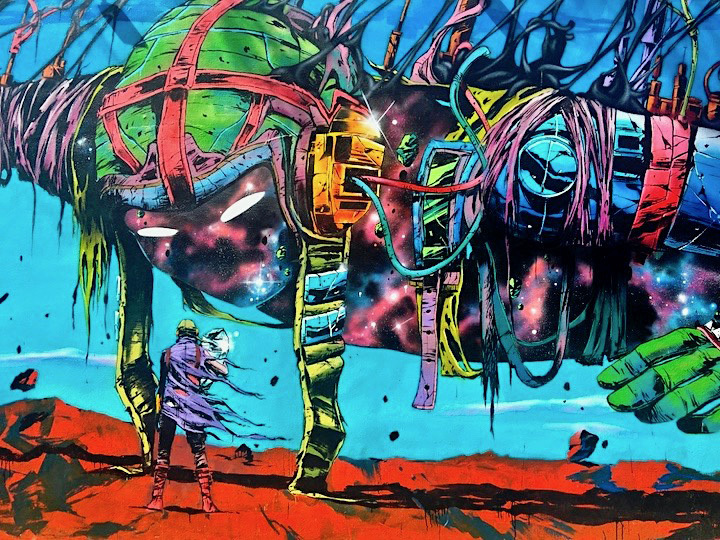 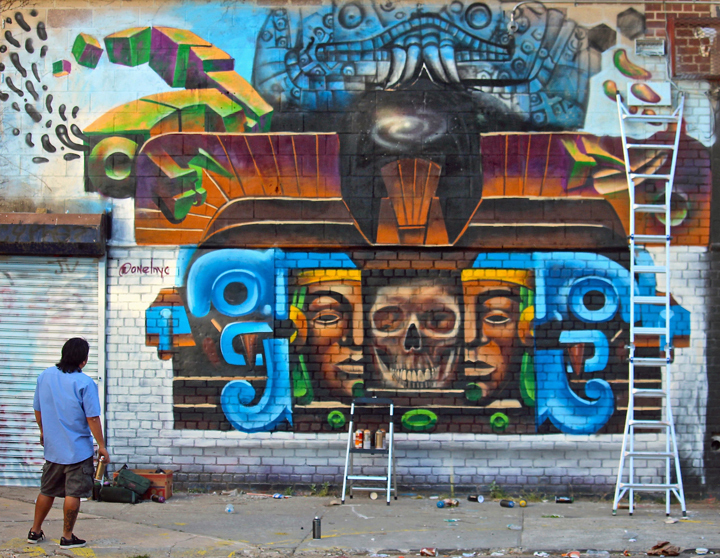 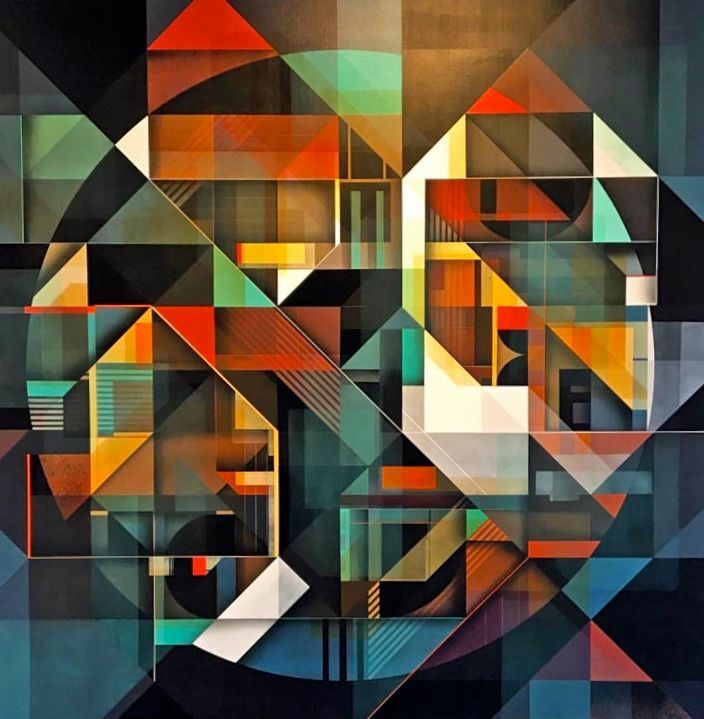 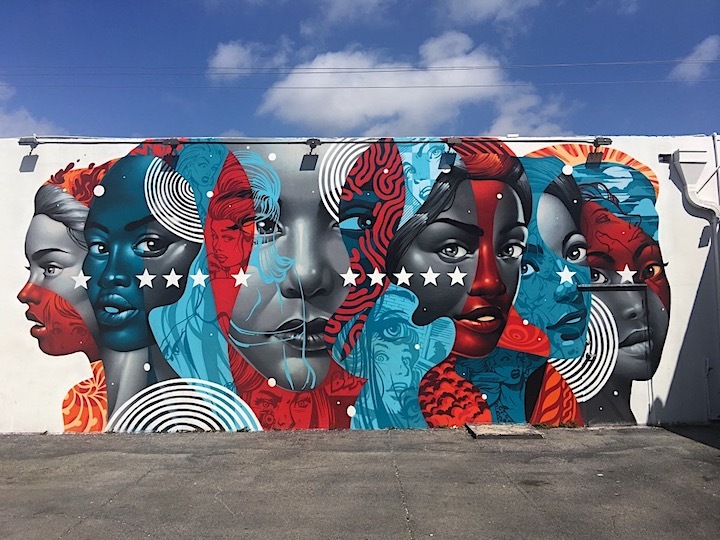 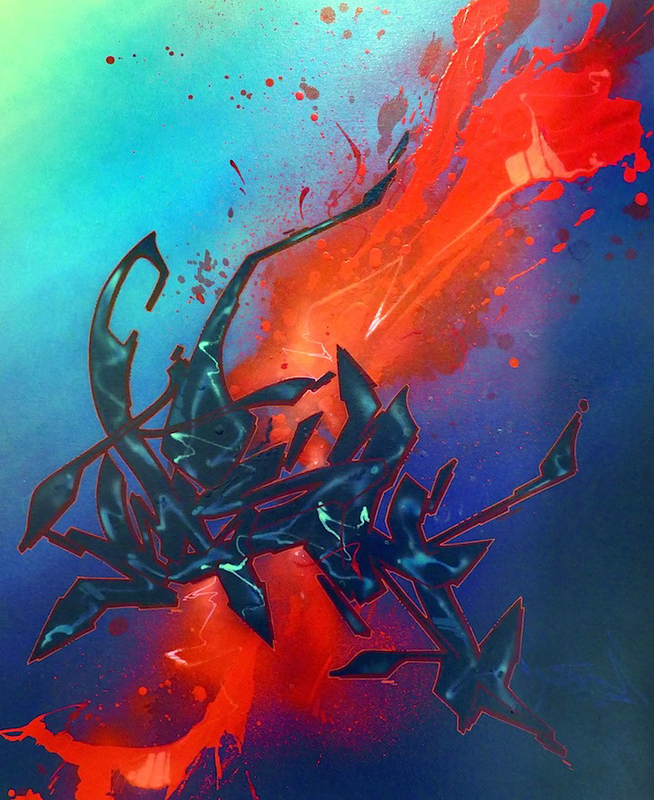 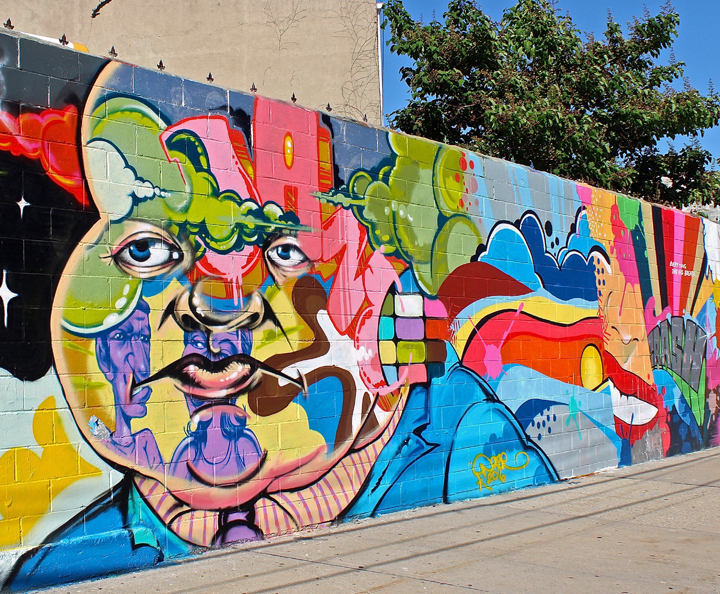 What follows are several more images of urban artworks, representative of a range of styles, genres and techniques. 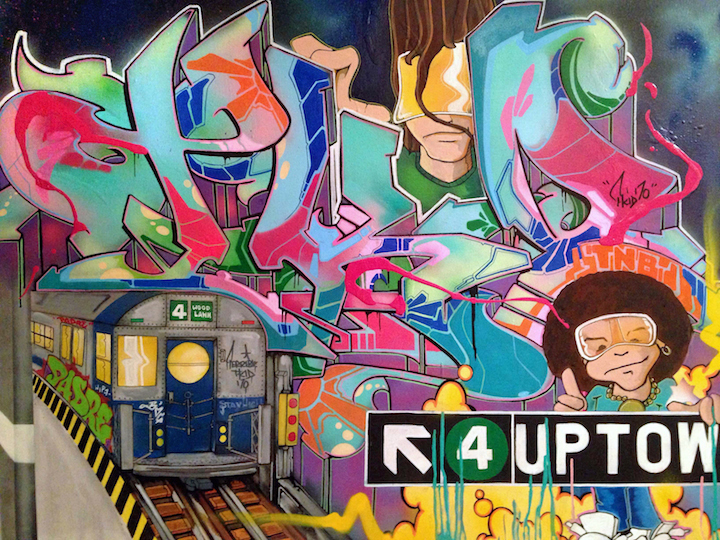 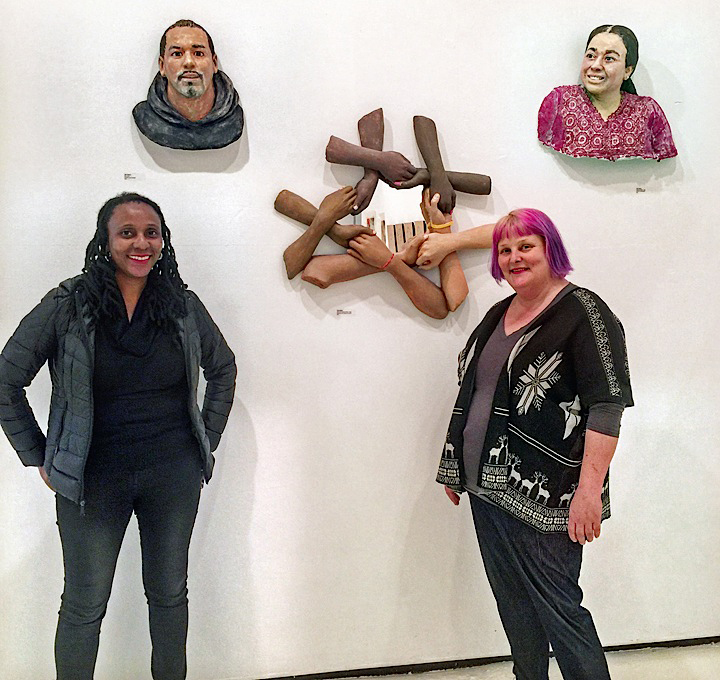 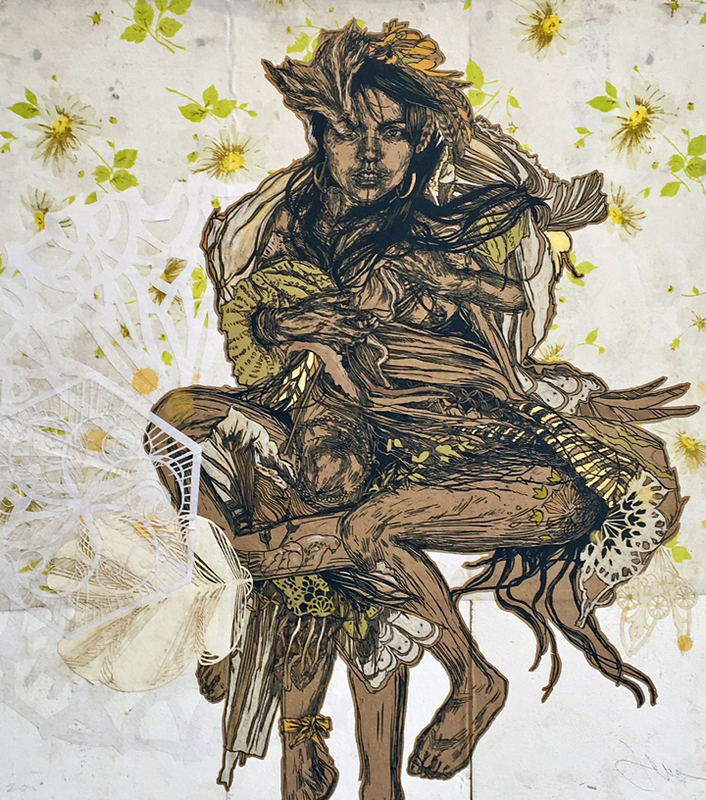 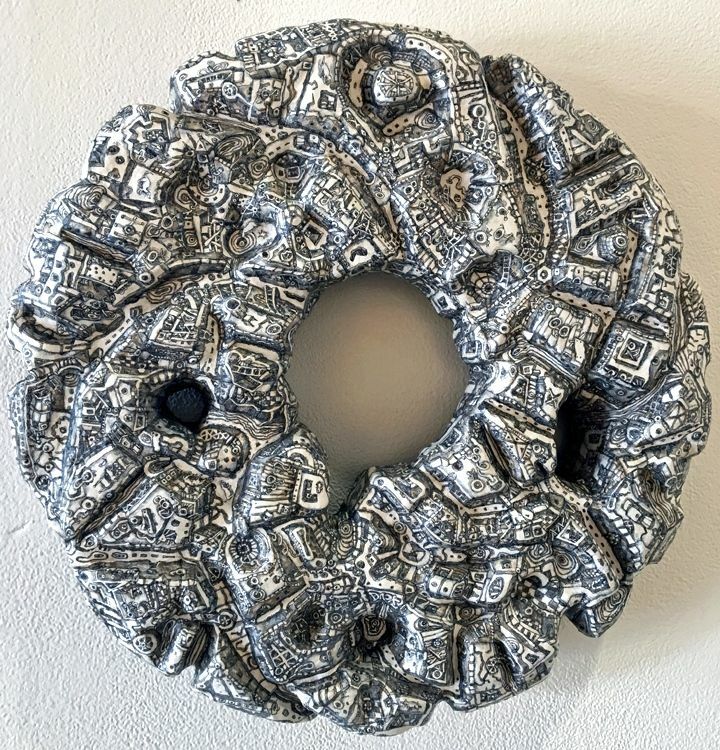 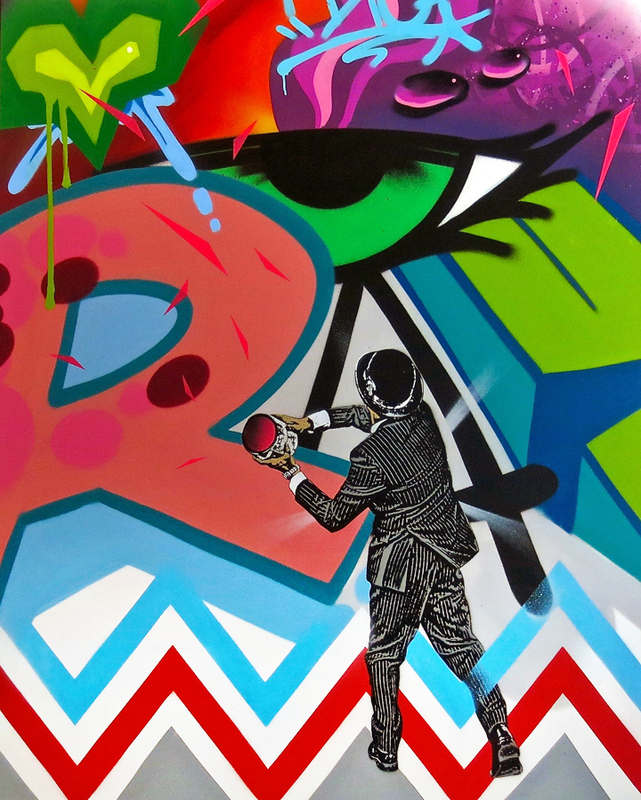 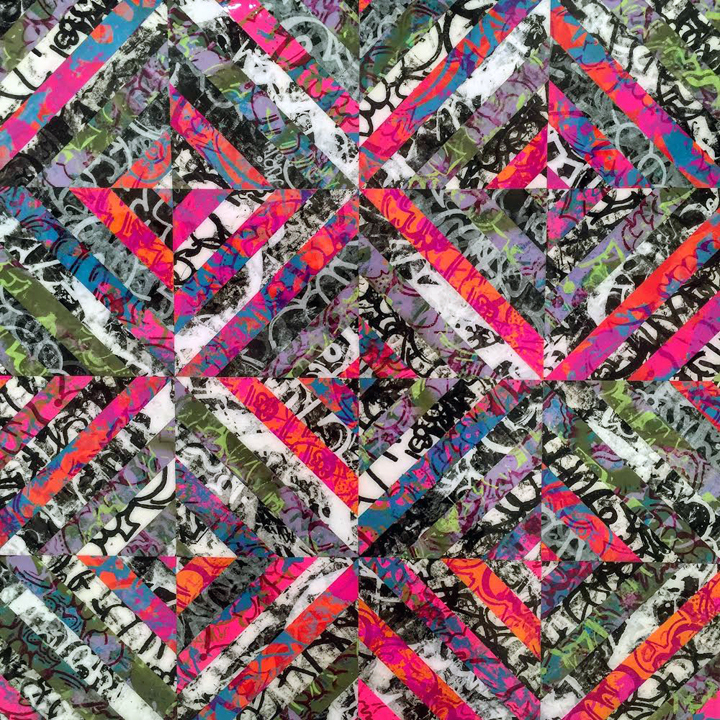 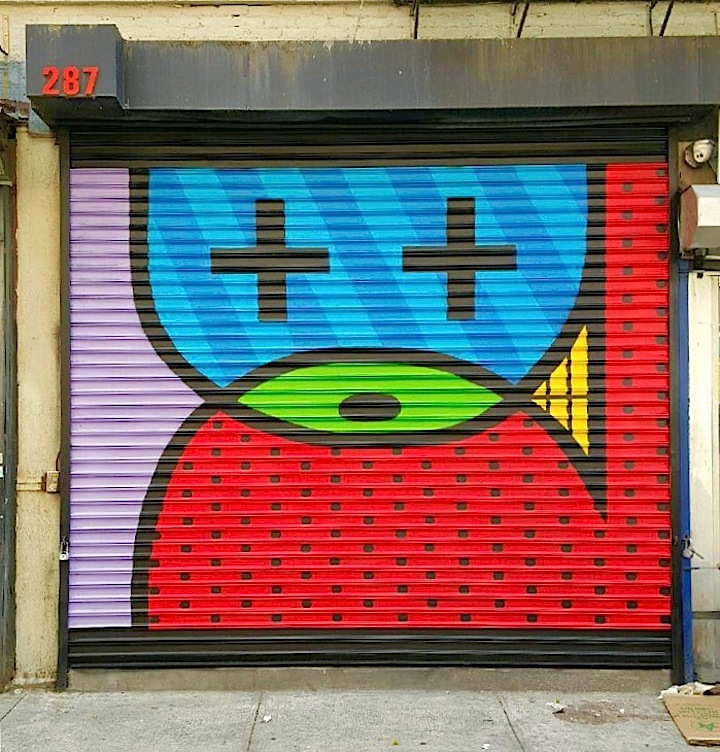 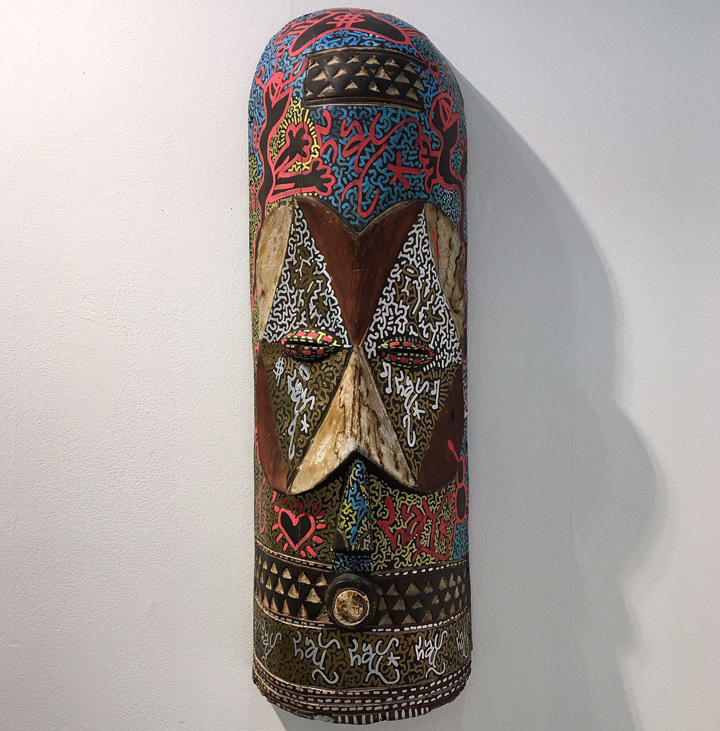 The Urban Art Fair continues at 50 Varick Street today until 9pm and tomorrow, Monday, from 11am to 3pm. 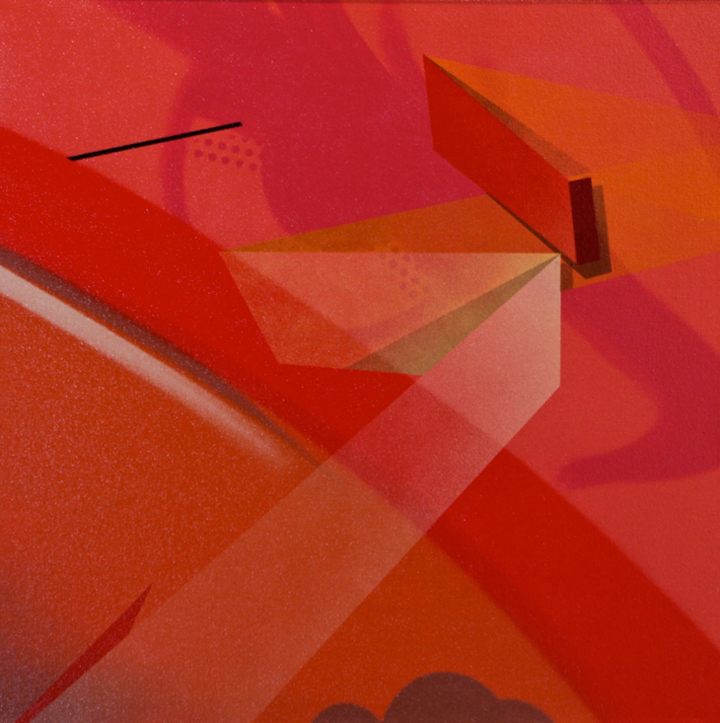 Ticket information is available here. 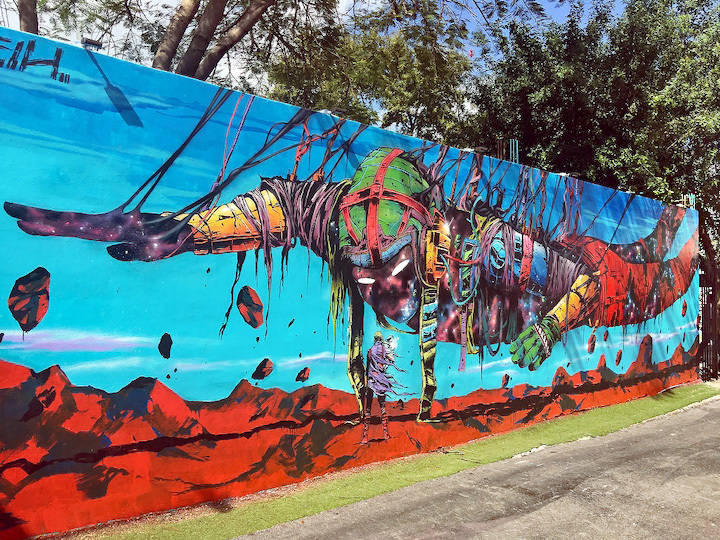 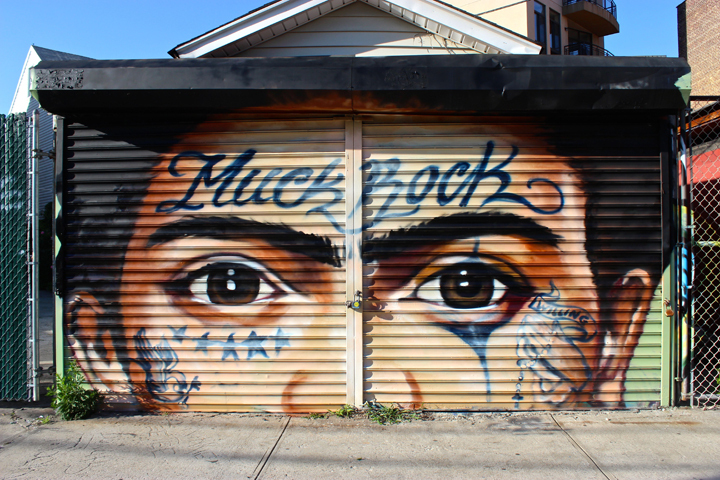 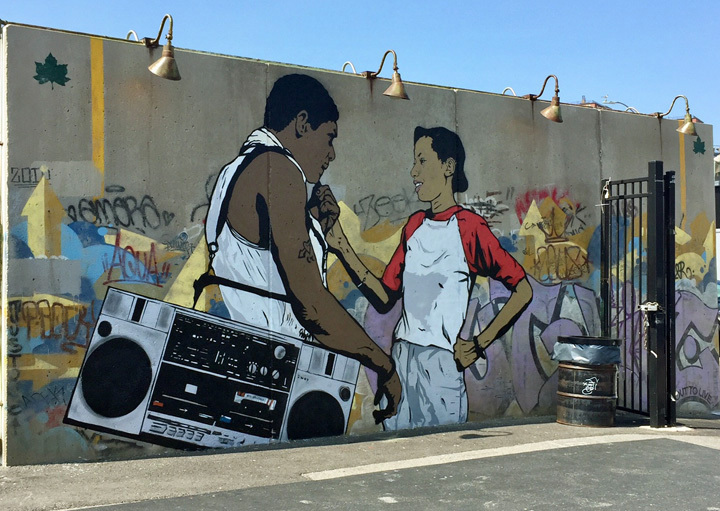 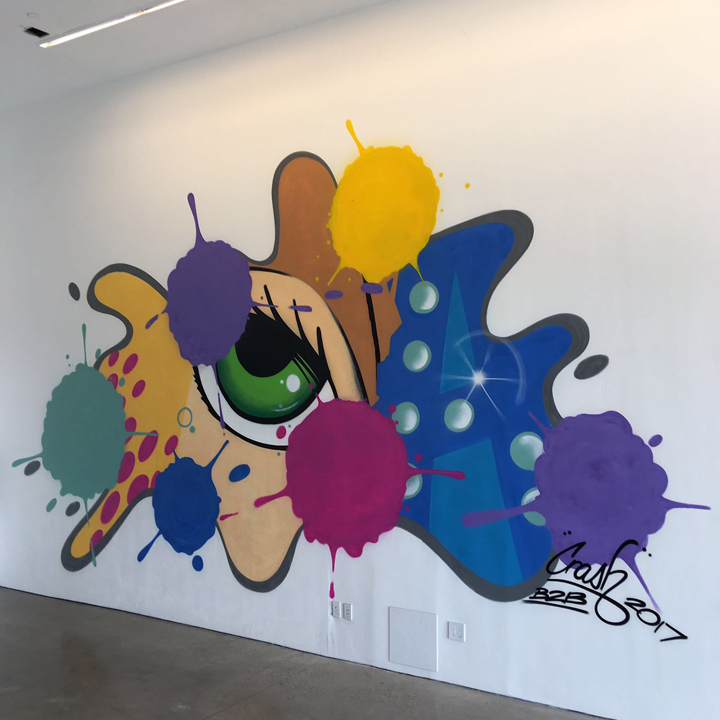 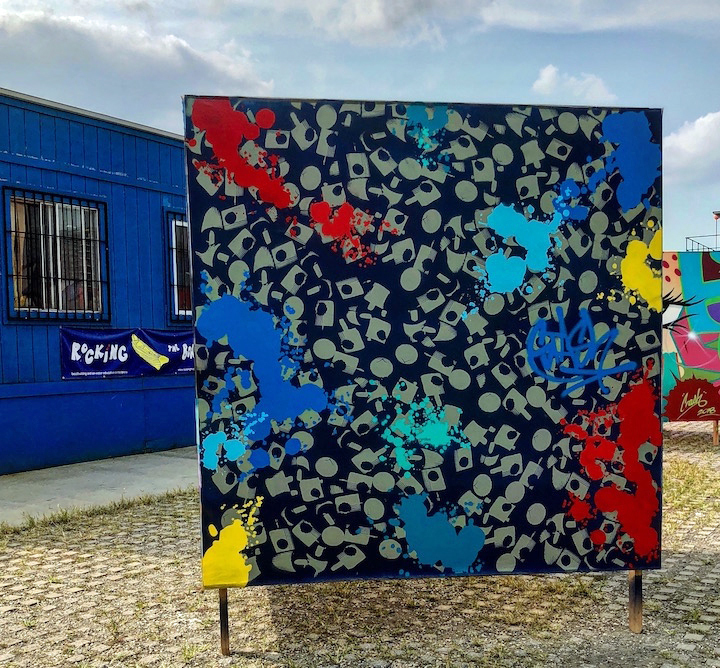 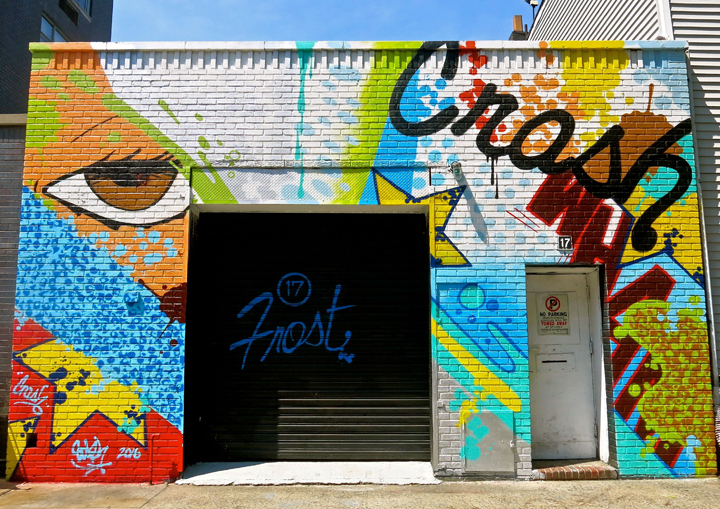 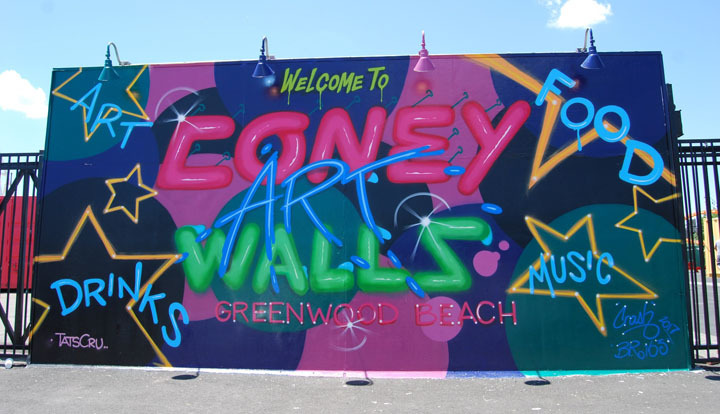 Bordered by Bowery Street, West 15th Street and Stillwell Avenue near the Coney Island boardwalk and beach, Coney Art Walls is open daily 12pm – 10pm through September. 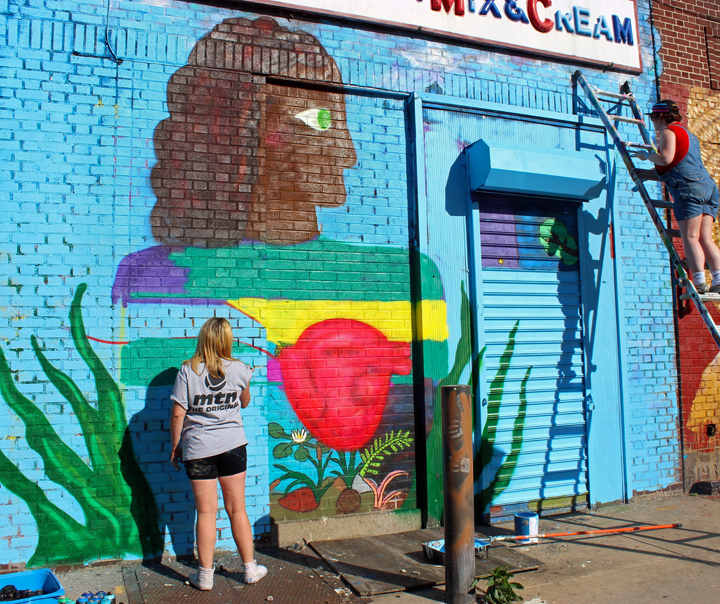 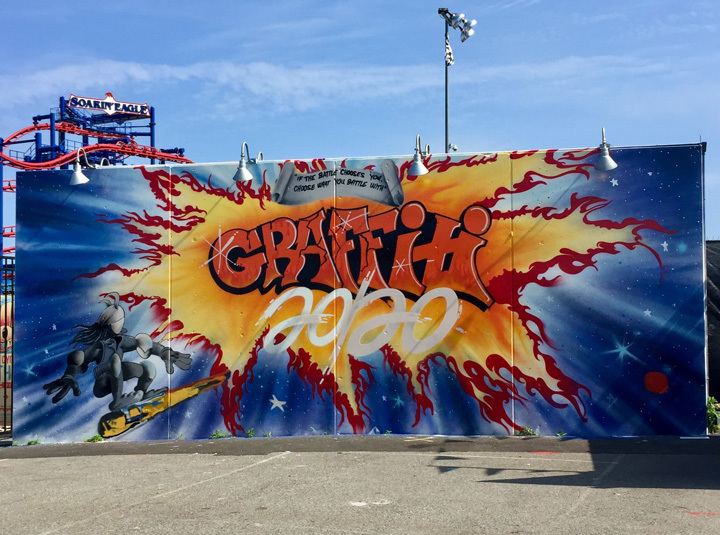 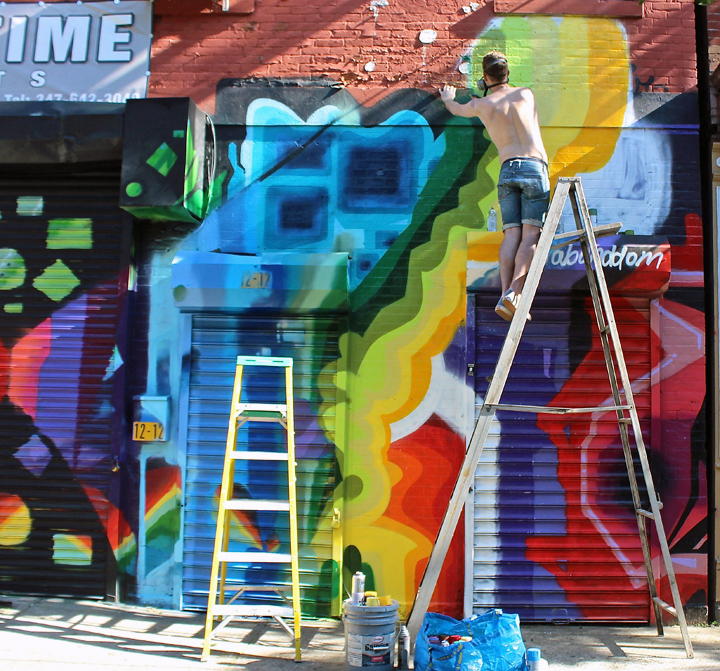 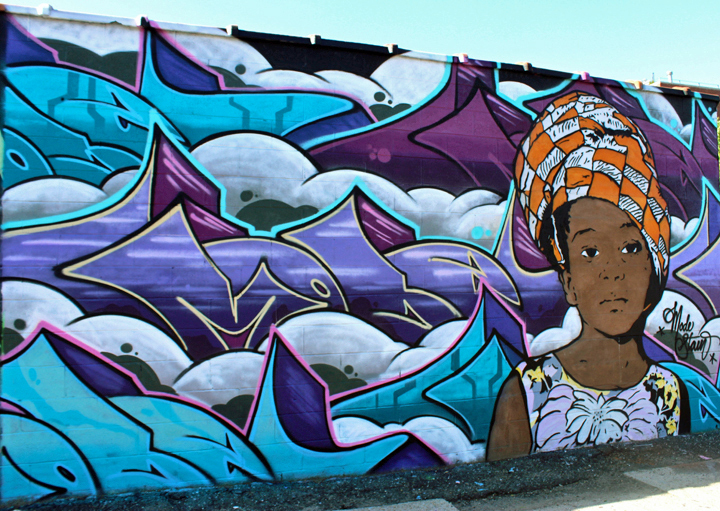 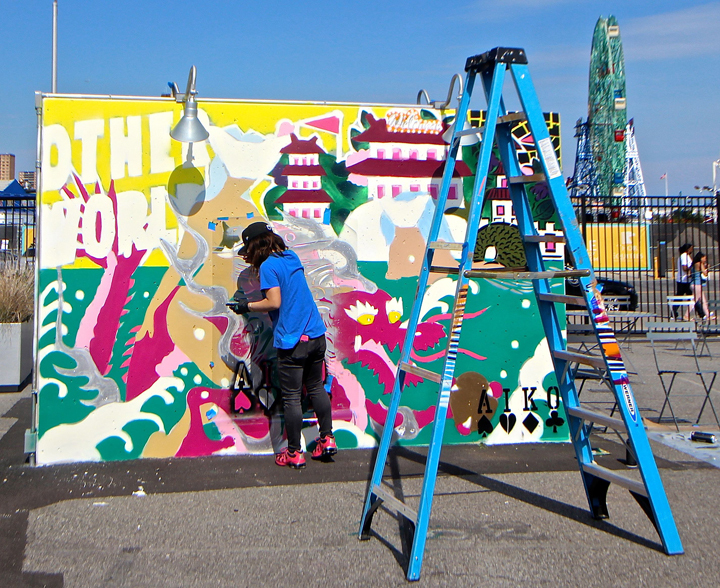 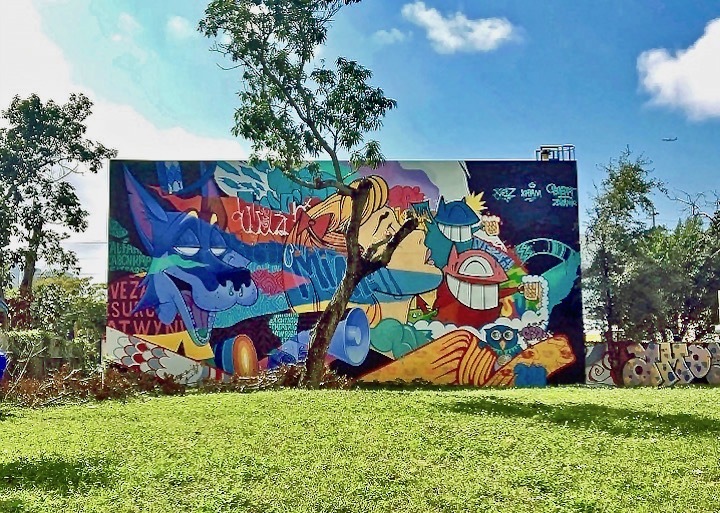 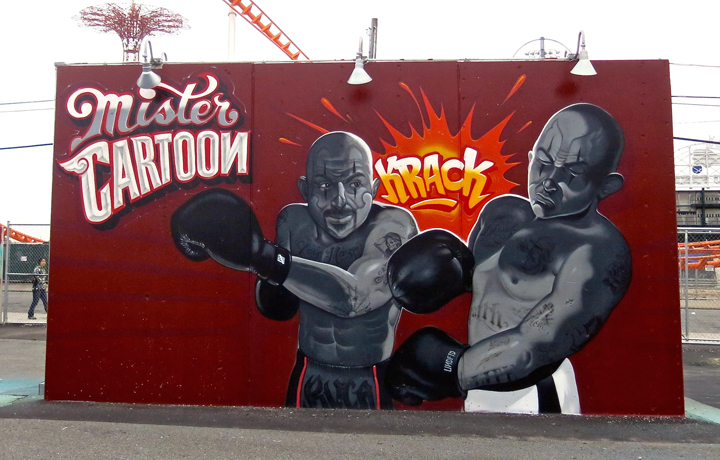 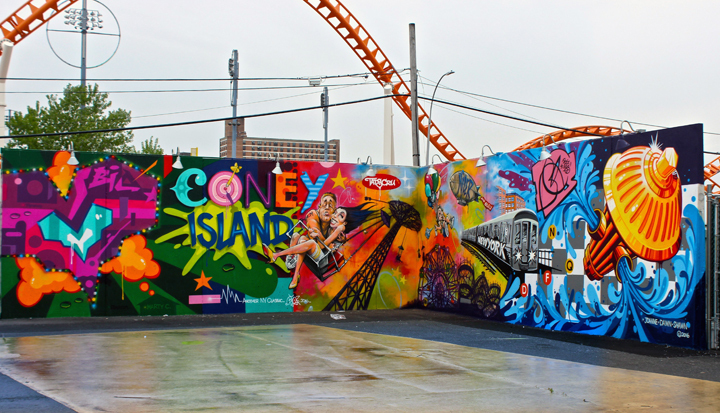 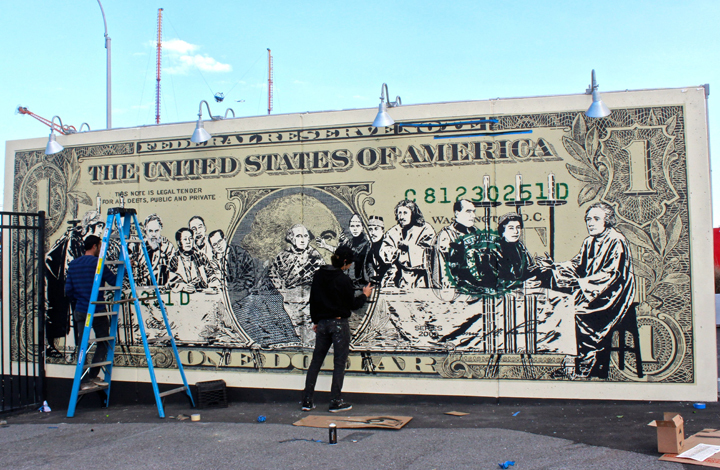 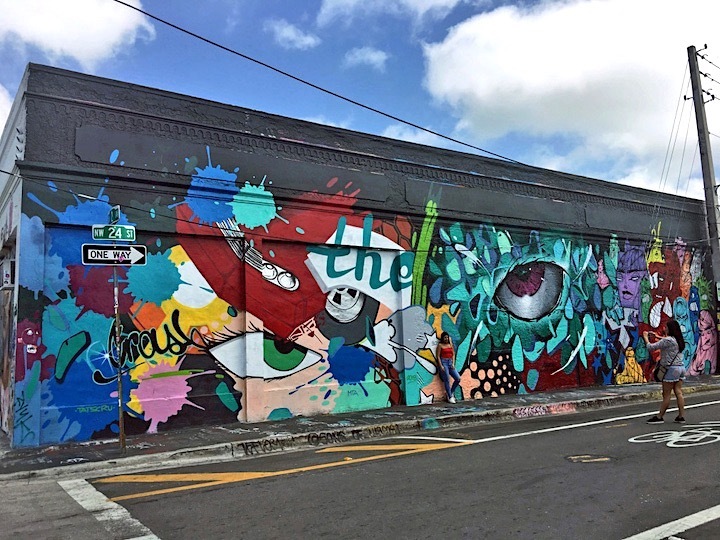 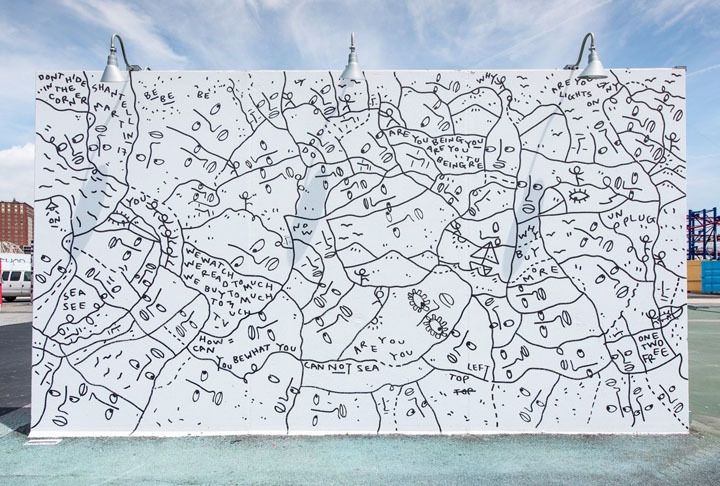 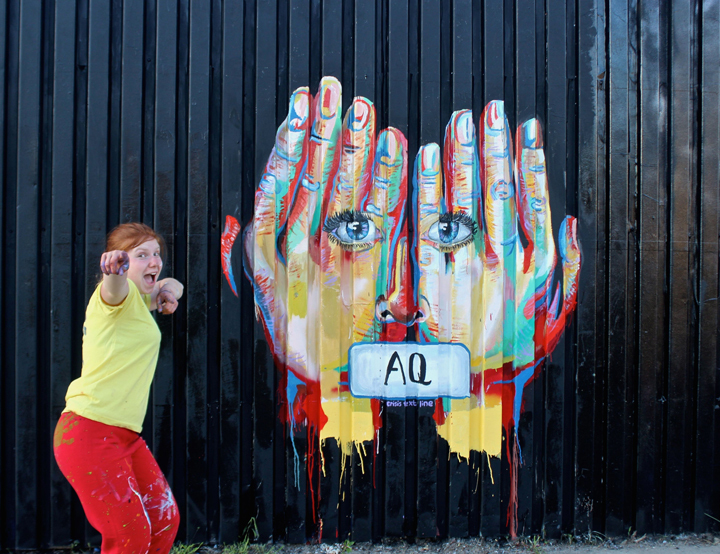 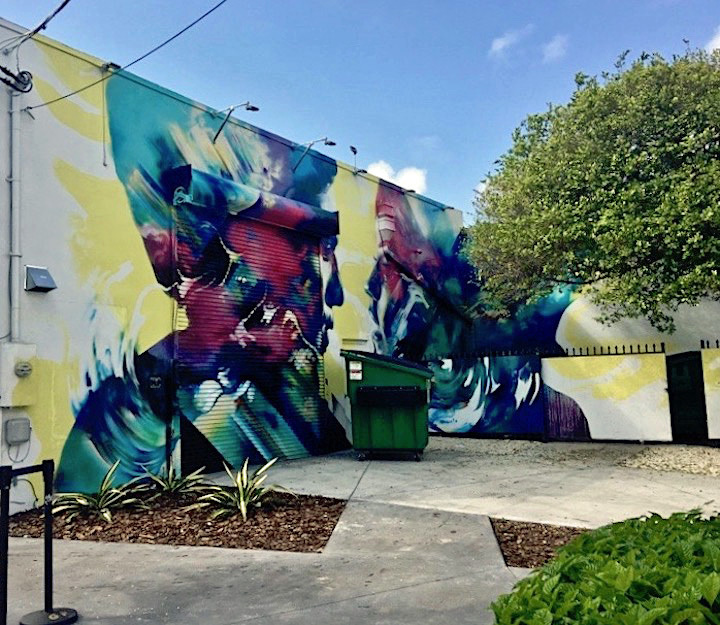 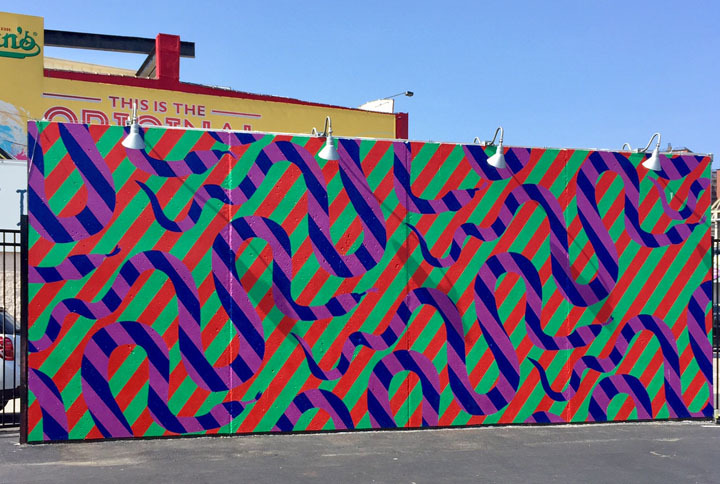 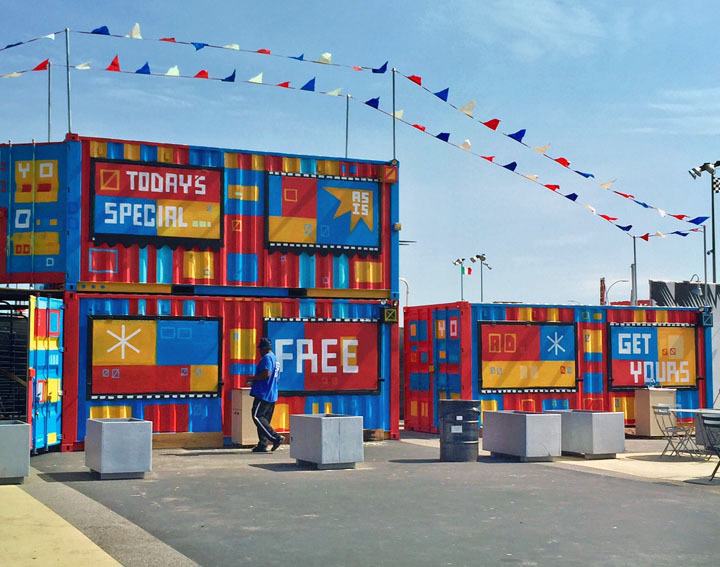 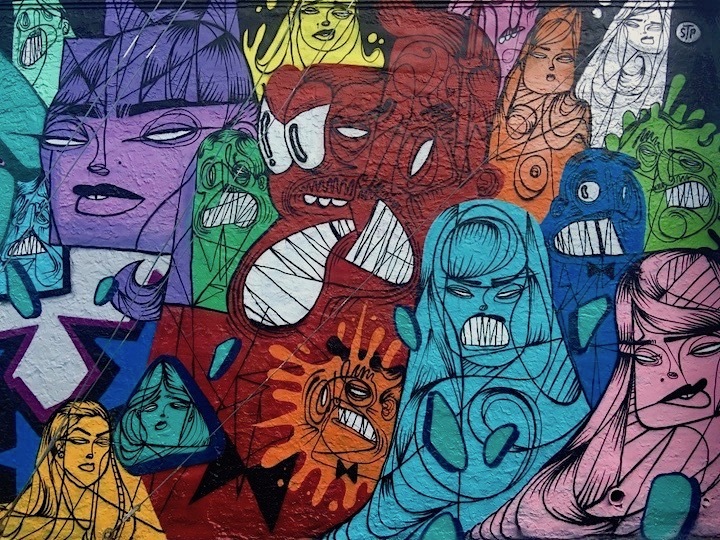 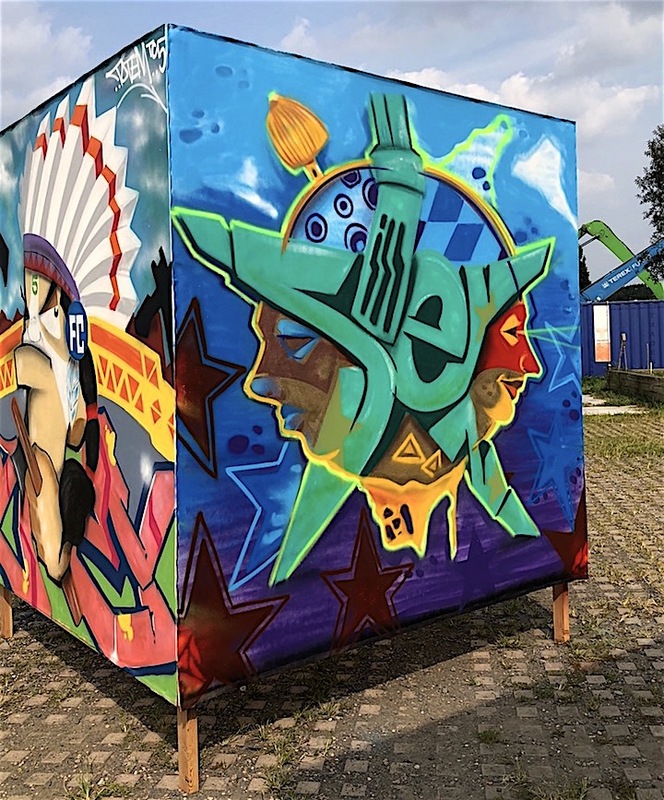 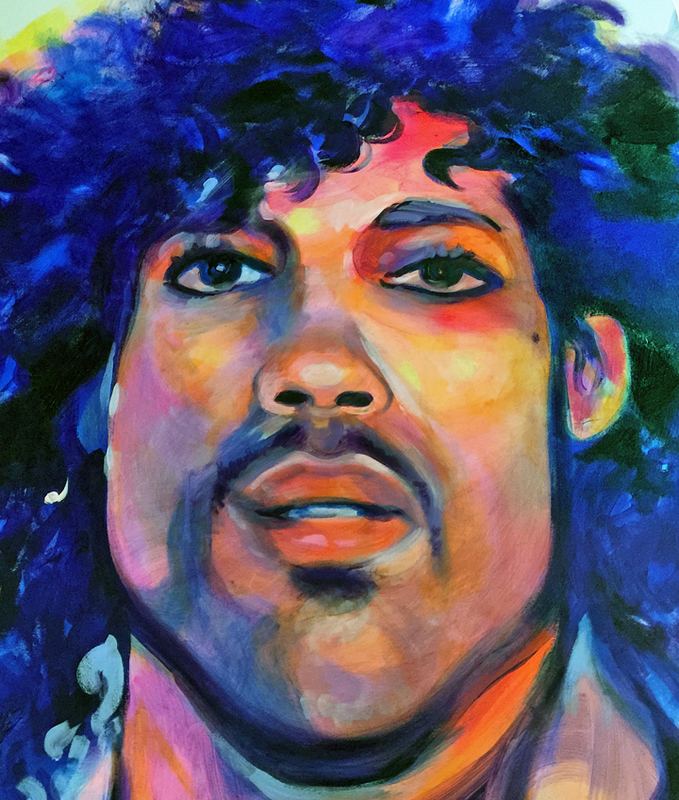 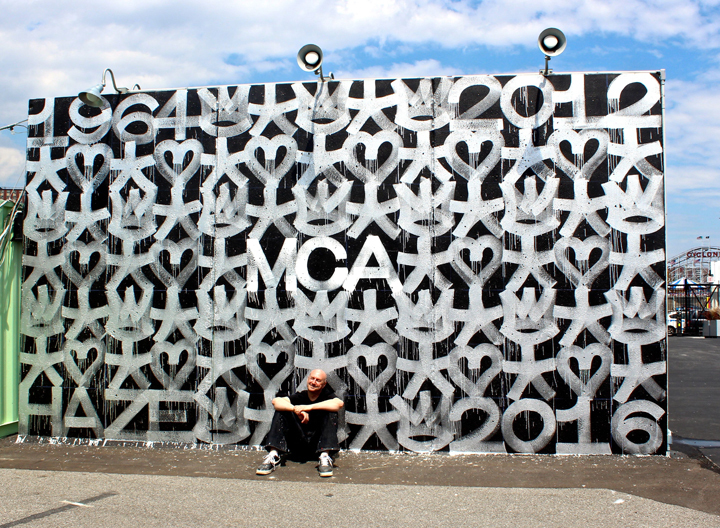 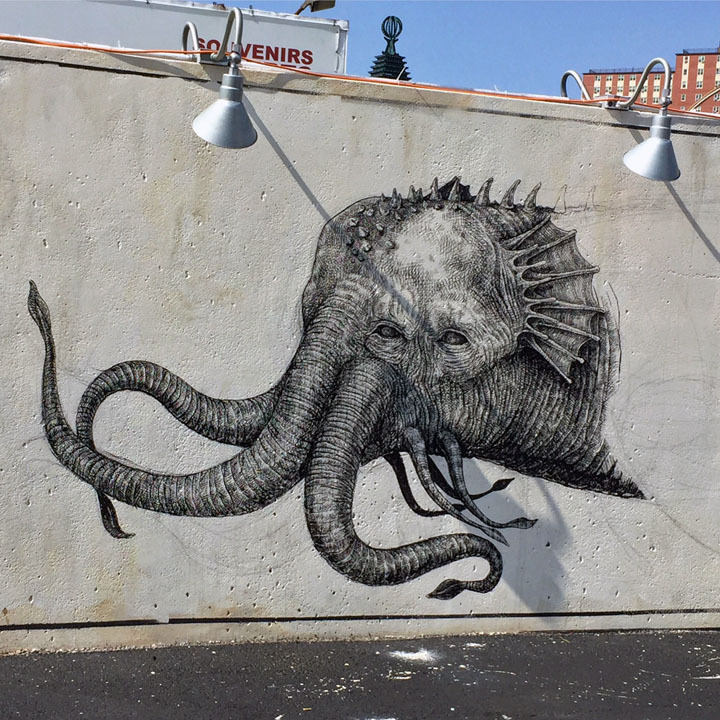 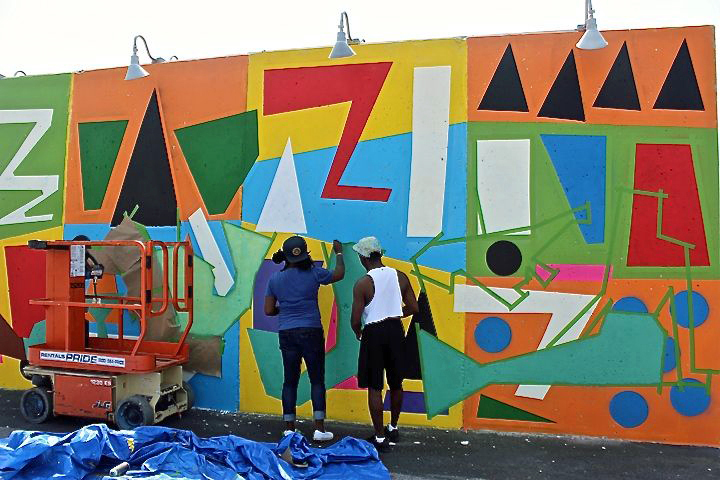 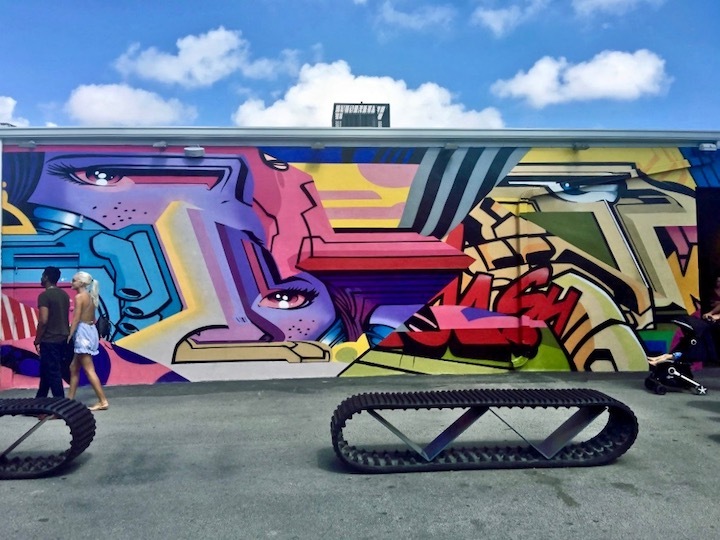 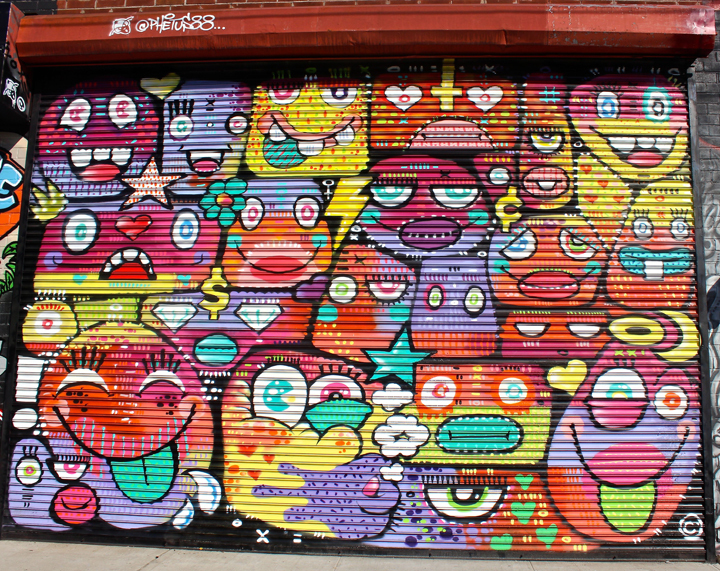 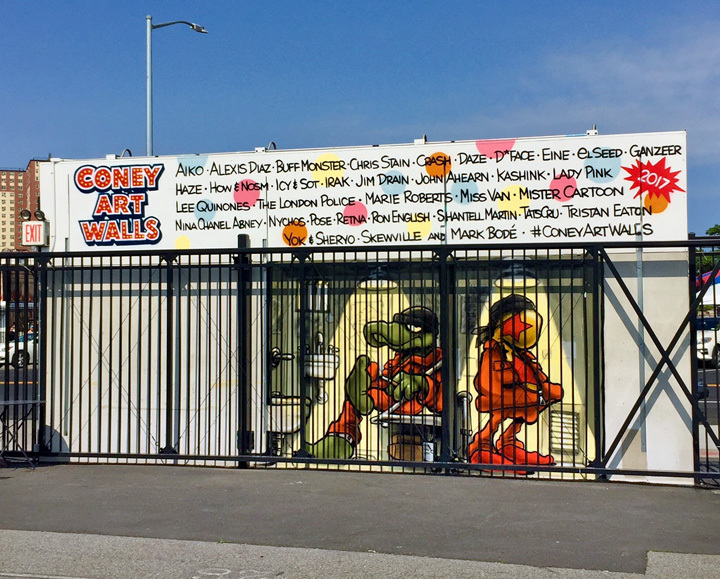 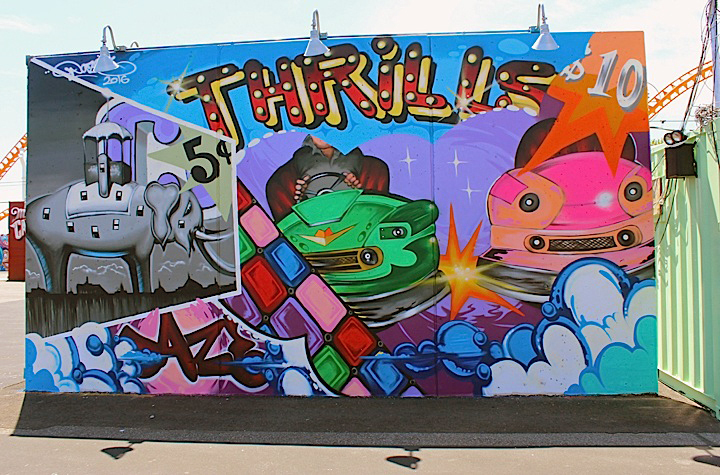 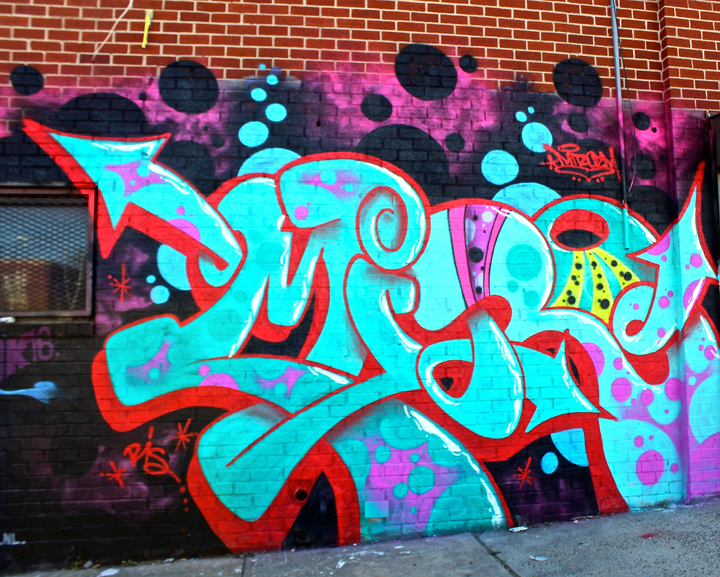 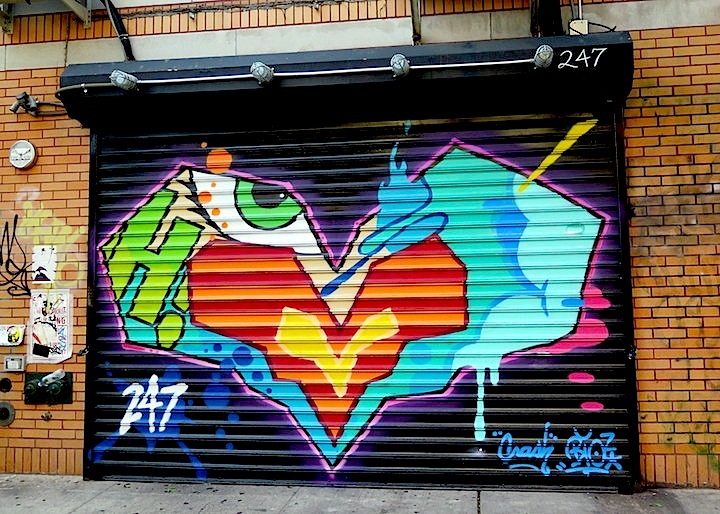 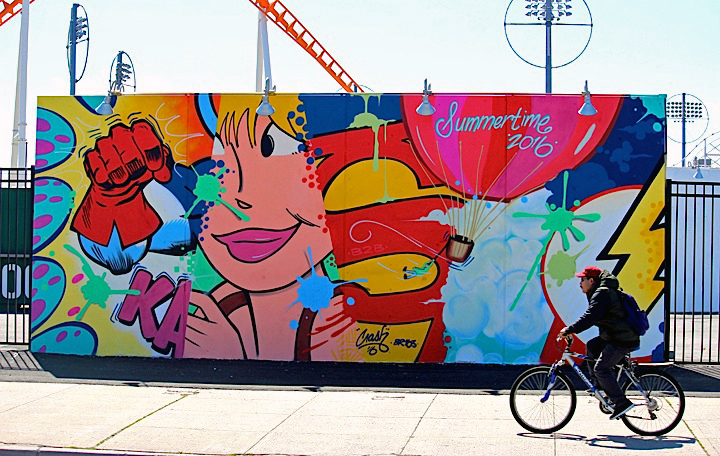 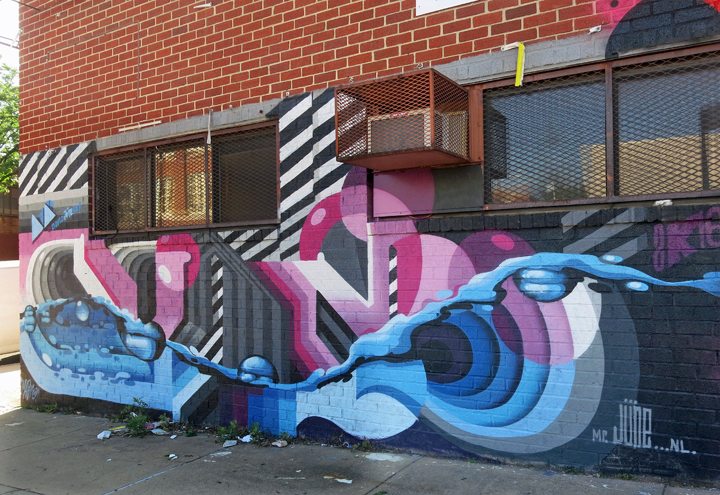 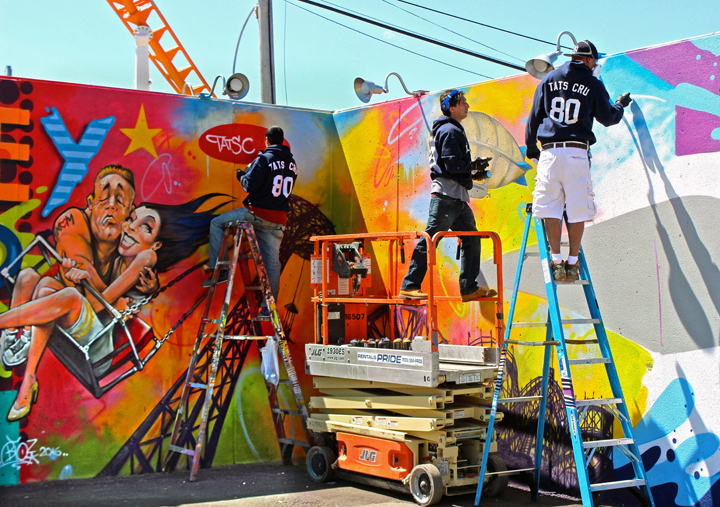 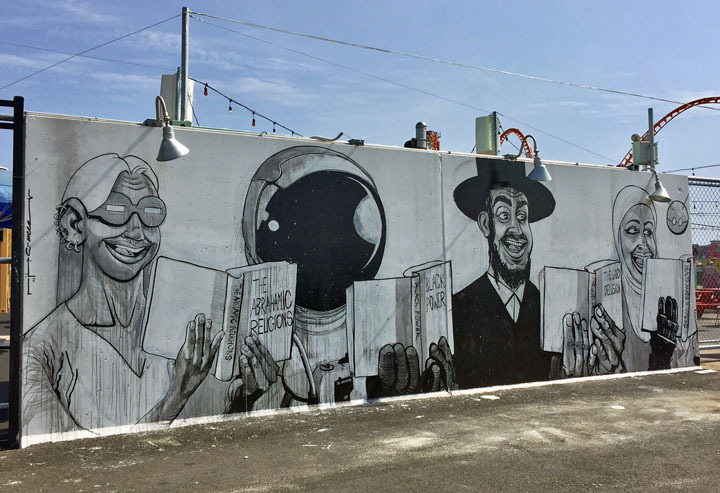 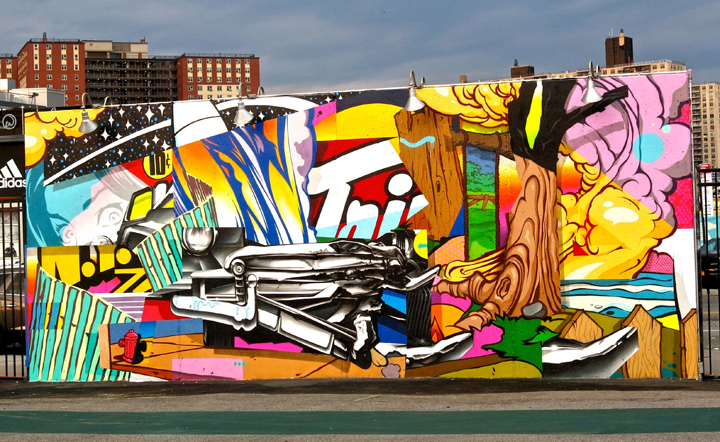 Throughout the summer, Coney Art Walls — launched by Thor Equities — will host dozens of appearances and live entertainment.